Overall a really good experience for my first Katsucon. Ended up costing more than we initially planned, since we come from about 6 hours away and were planning on staying with family but that didn't work out. Did a last minute airbnb and that saved us a lot. 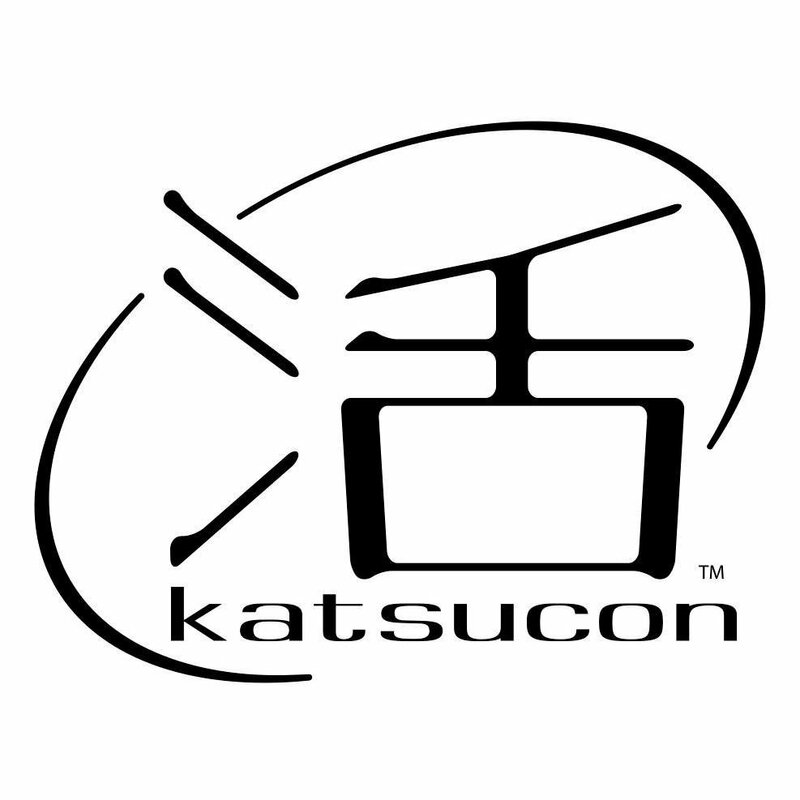 I had high expectations for Katsucon since the reviews were pretty good and it was a tedious process to get into the AA (no table sharing, jury-only). Overall, I did well within my expectations and was satisfied with how the show was run. My expenses were on the high side since I stayed at the Gaylord and flew in, but it also made transporting my prints a lot easier. Setting up was a breeze and I was one of the first ones to get checked in which was good. Day 1 and 2 were slower than what I was used to, and I felt that compared to the dealer's room, there weren't any visible signage for artist alley. Day 3 really picked up and got super busy. I am definitely satisfied with how much I made, but in the end this is still a cosplay-heavy con and less of an AA-focused con, so keep that in mind if you want to sell here. If you are not local and do not make at least 2k+ per con (minus expenses), then this is one you should skip since the hotel + food prices are crazy expensive here. Staff was friendly, but one lady kept yelling into the megaphone which got annoying and unnecessary. Despite everything, still great sales! I had my ups package with 95% of my prints get lost day 1 which put me in a complete panic. Luckily the lady at the fedex office offered to print some of my posters at discounted price because she felt bad for me. I was a shaking nervous wreck on friday but managed to set up and immediately was swarmed with traffic. We were placed in the very back facing the back wall and art show area, but there were still lots of people coming to our booth. I think it actually helped because we had two tables on a corner, and it allowed people to spread out and browse without getting stuck in the narrow walkways. Finding a hotel share outside of the gaylord saved us a lot of money. We were also next to a grocery store so we were able to buy and make food in our suite (had a kitchen). Any time we had to get around town we used uber. I know in the past having a gaylord room and buying food at the con added up really fast. Even with the savings, my costs still came to around $900-$1000 (flight and shipping costs ate a lot). Definitely would not fly to if you don't make more than 2-3k at average cons. Attendees were all super nice and respectful. Had a lot of fun talking to some about my fandoms and merch. Unfortunately some of my offline square purchases bounced, but it made up about 7% of the sales so it wasn't a huge loss. There was almost no connection and some customers were waiting 10-20 minutes just to get a failed swipe so we decided to take the risk with the offline purchases. Still had enough good sales to make up for it. If I can go again, I'll definitely try. Katsucon is always my favorite, not just for sales but for cosplaying and hanging with my crew. This was my first time at Katsucon. My profits were stellar, the staff was nice and accommodating (special kudos to Amber, who kept checking to see if we needed anything and kept us informed of what was going on during AA operation hours), and the attendees were enthusiastic, polite, and very willing to buy from me. All of the attendees I encountered in AA were pleasant and well-behaved, and chatting with customers about mutual fandoms was a joy. On the minus side, the wifi in the AA was nearly nonexistent, which made it difficult to take credit card payments; both my Square chip reader and Paypal Here reader refused to work for me all weekend. Fortunately, most of the customers were understanding, and willing to pay with cash instead. All in all, a very good convention. I hope to make it in next year! I have been in the AA for 3 years now and plan to be again next year if I can not move up to being a dealer. I travel all the way from Michigan and it has not failed me yet. Sales were amazing and there was always tons of traffic. Although set up in the beginning could have been done when we got there, and the time restraint on Thursday was very annoying.. the rest of it was amazing. I had 2 booths on a corner, which in the beginning I thought was going to be a horrible idea, but it ended up being an amazing set up. You got traffic from both isles and it really helped sales! The only suggestions I would make are to either make it easier to move up to dealers when you are ready, or have larger/pro row tables available. Since the 6 foots tables no longer cut it for me.. but it's almost impossible to move up to dealers.. I will definitely be back next year if they allow me 🙂 thanks for another great year! Despite negative reviews here, my experience was great. I missed the late table situation Thursday so I can't comment on that. Friday set up was a breeze for me. When I arrived, my table was sandwiched between two tables which wasn't how the preview map showed it, so they let me push a gap next to my table as it should have been! I asked someone about electricity which I know I was supposed to do in advance, but someone still graciously looked into it for me (turned out to be impossibly expensive, thanks Gaylord). All weekend, staff passed by checking in on how we were and saying hi. Everyone was polite, friendly, and calm! After the evac, I can't say how relieved I was to see the staff make sure as many artists as possible were back in the alley before letting in a single attendee. That was great! Yes, the loading dock on Sunday around 4pm was chaos, but since it's a shared space, I can't put AA staff to a blame for that. Nonetheless, I got my car in, loaded, and out with no issue. All in all, my sales broke my personal records and I left as a very happy and grateful artist. This was, by far, the best con I've done to date. Broke sales records for each day. Organization was horrendous like the other posters mentioned. However, the attendees were nice and respectful, and staff was at least trying to help. I think they knew things were totally screwed up behind the scenes, hopefully they will be better organized next year! The fire evacuation sucked, but really you can't blame Katsucon for that. I will definitely apply again for 2017. My review can't be particularly scathing because the sales at this con were amazing, but it's worth noting just how all over the place everything was. We arrived at 7pm on thursday for setup only to be told that there weren't even tables put in the room yet. The alley was a huge, empty room. We had to wait for an hour before anyone showed up to even start setting up the tables. By the time we were able to set up, it was nearly 9pm, and we had to leave at 10. It was an incredibly stressful setup day. It didn't help that one of the staff members felt the need to scream a lot, and even get out a megaphone, even though there were probably less than 50 people in the room. Her behavior was unneccessary and everyone there was very annoyed by it. Closing times were barely enforced until Sunday rolled around. We closed at 9 on Friday and Saturday, I was sitting at my table still making sales at 9:20PM because no one was making an active effort to clear the room. Obviously I'm not going to turn down a sale, but we've all been sitting there for like, 12 hours. We want to close when we are told we are closing, and we can't just walk away from a table with valuable goods when there are still attendees walking around. It was incredibly aggrivating. Where was that megaphone from thursday when you actually needed it? When leaving on sunday, it was clear no one thought to watch over the flow of traffic in the loading dock. It was literally impossible to leave because people were allowed to park all over the place and completely blocked exit. Someone came out eventually to direct traffic, but you'd think someone would have thought of that in the first place. I won't even bother to mention the fire evacuation, by the way. The situation was a mess, start to finish. Basically, I bring this stuff up because this is not a young con. I have never seen anything so unorganized. Katsucon has been around long enough to do better than this. It kind of felt to me that the con was just running on it's own, if that makes sense. The attendees were great and it brought in an incredible profit, but I was pretty irked the entire weekend over all this weird stuff. At least we got free pocky from them on Saturday...? I will absolutely be re-applying to Katsucon, but I really, REALLY hope that this lack of organization isn't a recurring theme. I enjoyed Katsucon, but it was by far the worst I have ever done in an Artist Alley before. While the staff, and venue were wonderful, it was generally disorganized (to the point where my mother found out about the fire before the AA staff did, and was aware that we had to leave the building before we were informed). I had a lot of trouble with con-goers being very inconsiderate (knocking things off of my table, and neatly breaking one of my items when someone shoved their bag onto it in order to look for something). This was also the most trouble (by far) I had with people standing in front of my table (backs to me) talking/ignoring me completely, and being unwilling to move. I believe this is part of the reason I lost sales, as I was told by someone on Sunday that they had been trying to get to my booth all weekend, but couldn't. The convention itself seemed nice when I was out and about, but I do not believe it is a con I will ever do AA at again due to poor sales. but I thank the staff for how attentive, and friendly they were. This show was amazing. Profits were stellar and staff was very helpful. I hope I make it in next year!